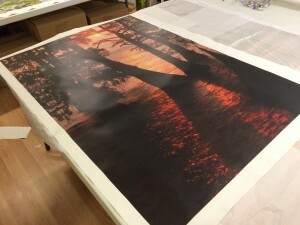 Above is a photograph of a 7 foot gallery wrapped canvas in the process of printing for one of our clients in Minnesota. 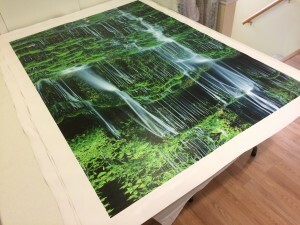 We are printing a lot of canvases for our clients but it is always fun to take a break to see an image that I saw just a few months ago through the viewfinder of my camera actually appear in print. We print on all sorts of substrates including wood, acrylic, glass and metal. 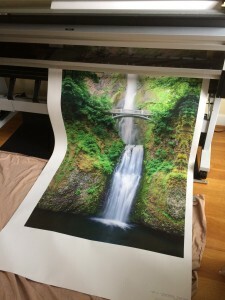 More on that in an upcoming post. 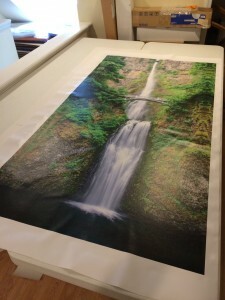 We triple coat our canvases to insure they are protected against the color fading effects of UV light and the occasional bump, scrape, or fingerprint (which can be wiped off with a soft cloth). 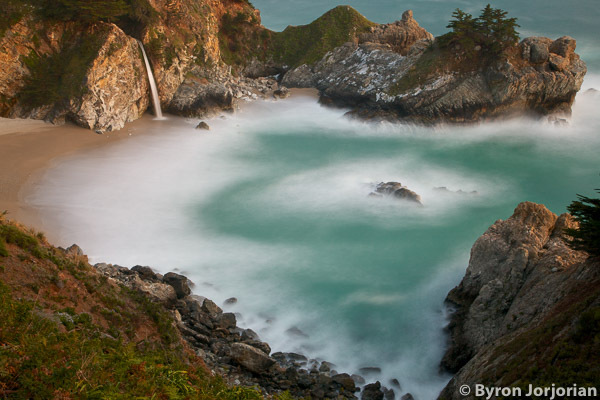 I visited and revisited this area multiple times while I was in the Big Sur in California. Each time was magical in a different way! 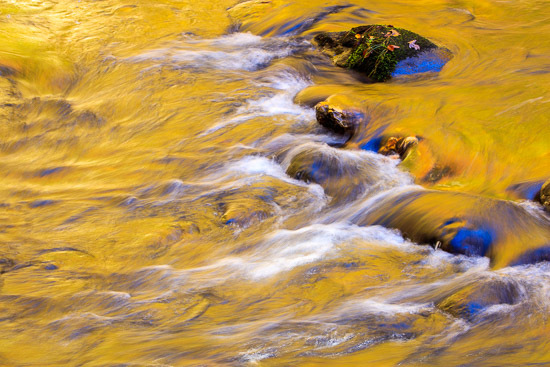 A stream in the Smoky Mountains this fall. I love hiking and being in the outdoors. 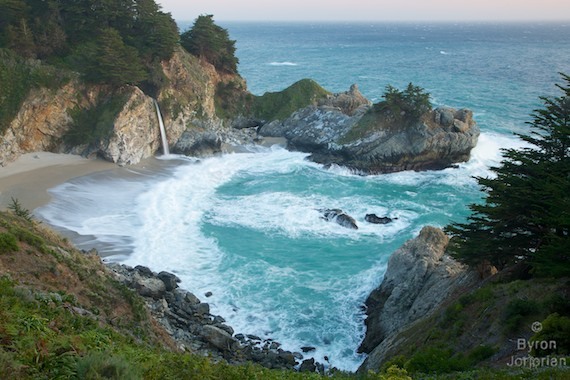 Frankly, I even enjoy hikes that are strenuous. 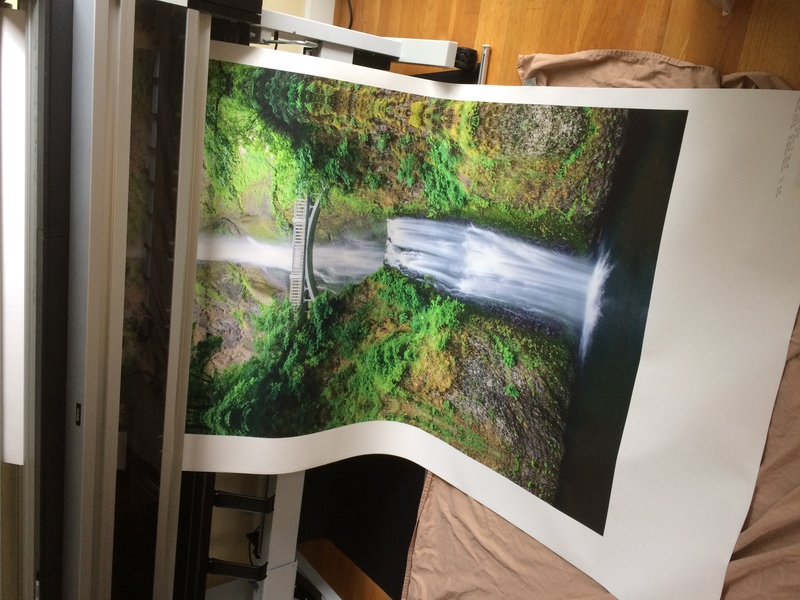 The hiking and physical part of getting to the locations that I photograph adds to the richness of the experience and clears my mind, setting the stage for the creative process to begin. With that in mind here is an image I created when everything finally came together. 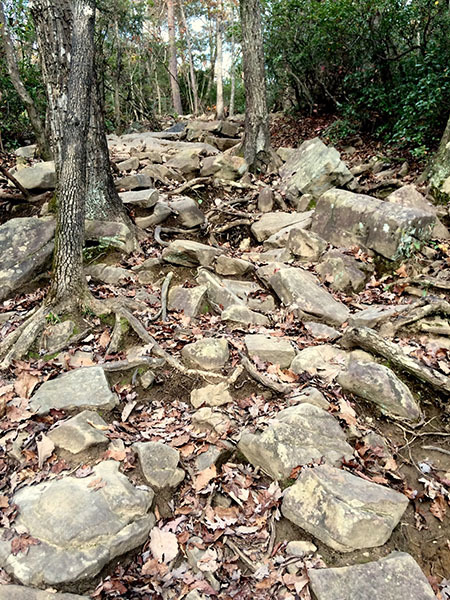 And here is a Iphone photograph of the trail I hiked 6 times over 2 days seeking the right light. There is nothing quite like hiking a trail in the still cool air of morning. 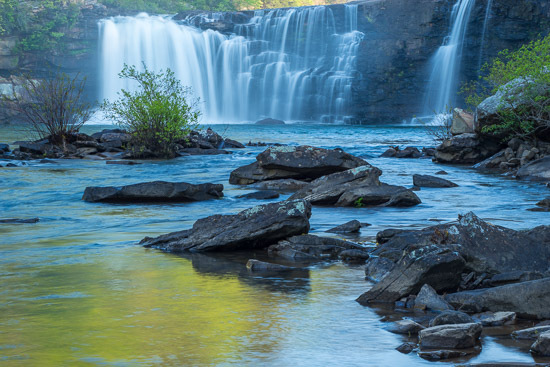 Here is an image from an early morning hike that I made this past spring in north Alabama. 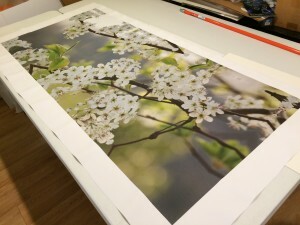 One of the most rewarding things about the art of photography for me lies in finding a new and different way of seeing the familiar. 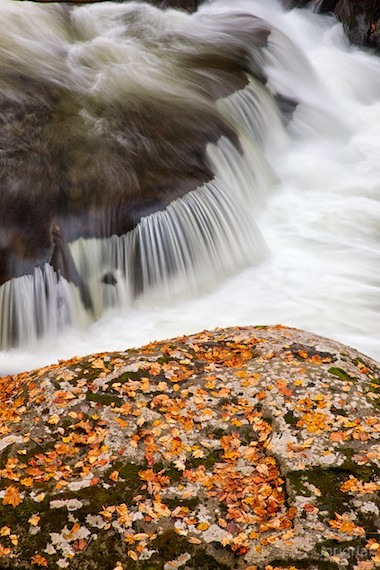 One day in late fall I was wandering around a small waterfall. I stopped for a moment to absorb and observe the moment. I stood there mesmerized by the sound and the motion. Gradually this composition evolved before me and I was moved to create this image. “We usually don’t look. We overlook.” Alan Watts. 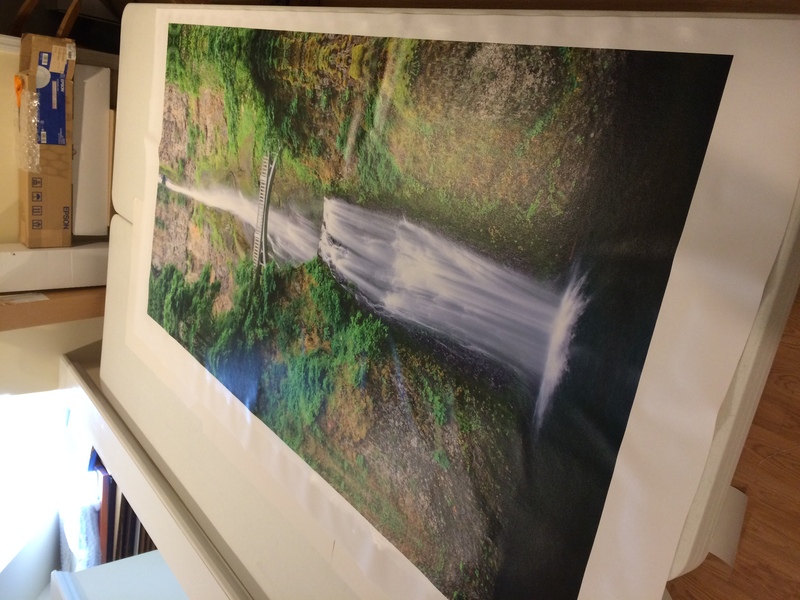 but how many times it gets taken away…. What a way to spend a day!! 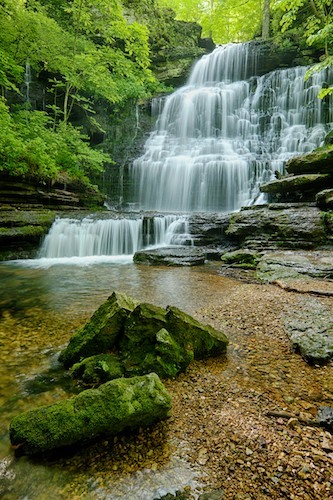 Recently, while working on our upcoming book Treasures Untold, Paul Kingsbury and I visited this waterfall in middle Tennessee. 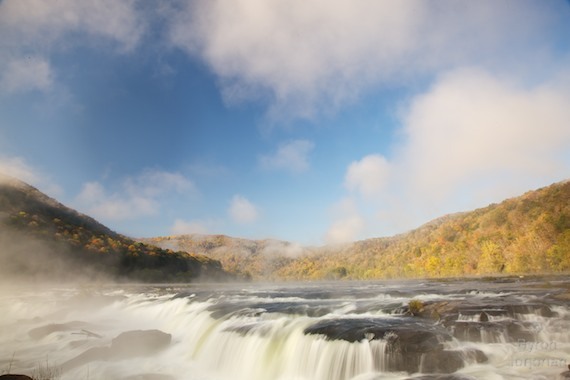 In my book, I will share photographs from some of my favorite spots in Tennessee. 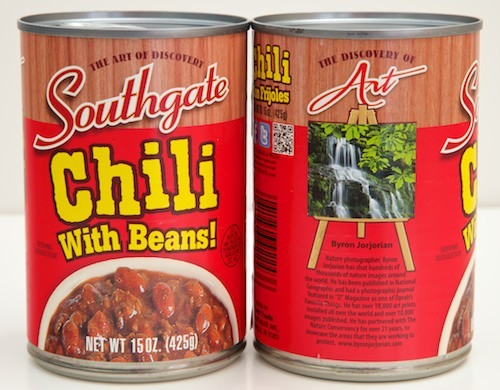 I am humbled and honored to have been selected to be a featured artist as a part of Southgate Brand Food’s “The Discovery Of Art” showcase! 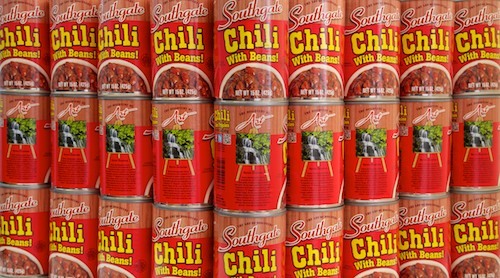 As part of the program my photographic art will appear on over ONE MILLION cans of chili! 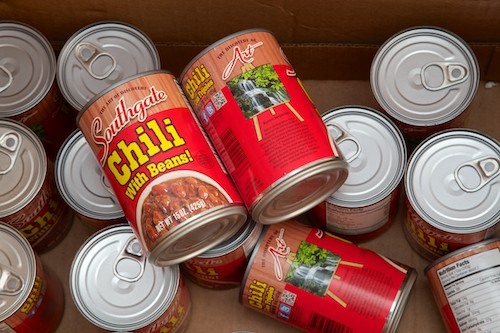 Southgate’s chili is packaged locally by Vietti Foods here in Nashville. 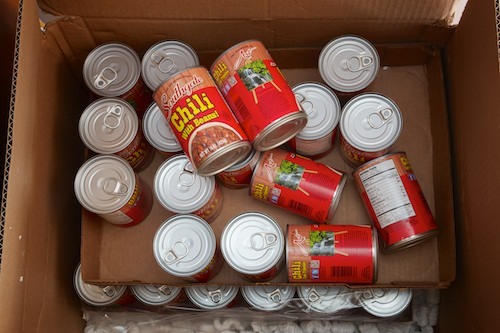 The cases of chili arrived this week and we had a little fun opening and photographing them as you can see below. 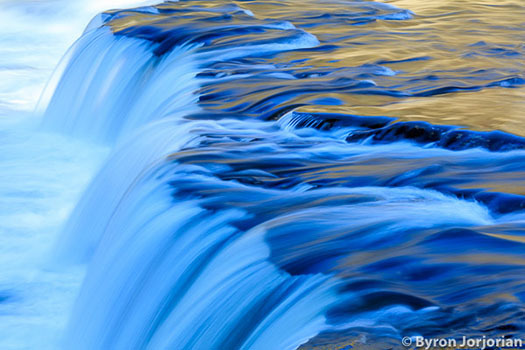 The image that is highlighted on the can is entitled “Tumbling Waters” you can view it on my image website HERE.